People often ask us “How do you even pack for such a long trip?” The truth is that we each do it differently. Patrick and I approach everything differently, including packing our bags and even writing this post. I packed more clothes than he did. He packed more gadgets than I did. We have both put a lot of thought and research into what we are bringing, and it has been challenging. You don’t want to over pack because you have to carry your pack all over the place but you also want to have everything you need. A key to remember is that you can buy things along the way, often cheaper than in the USA. We’re not sure what will survive the entire trip. I’m sure there are some things we will just toss three months in and other things we will be so thankful to have brought. We’re perfectly prepared for none of the clothes to come back with us. While there are probably some things that we could shed from our packs, currently we are pretty comfortable with what we have so we’ve broken it down for you. 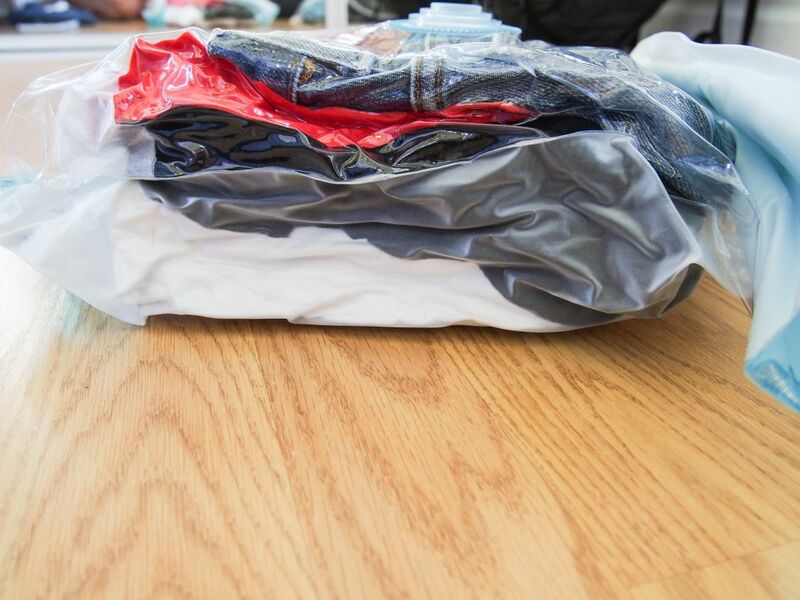 Compressible bags can be very useful for squishing your clothes down to a more manageable size. I found some at TJ Maxx for about $7.00, and Patrick bought some online years ago. I use it for all of the bigger items that don’t roll well like jeans, sweaters, and dresses. Patrick has two and uses them for all of his clothes. All of my clothes that aren’t in the compressible bag are rolled up to save space. 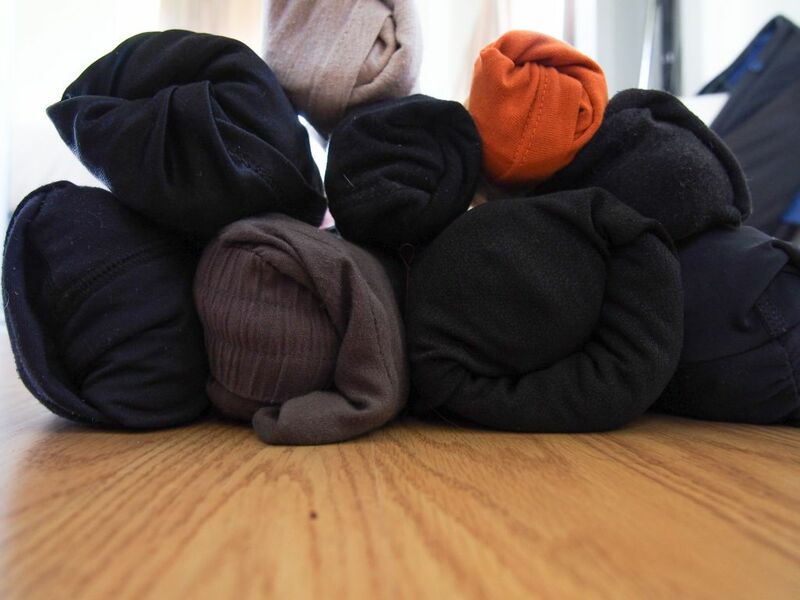 You can find some great tutorials for rolling all sorts of clothing items here. 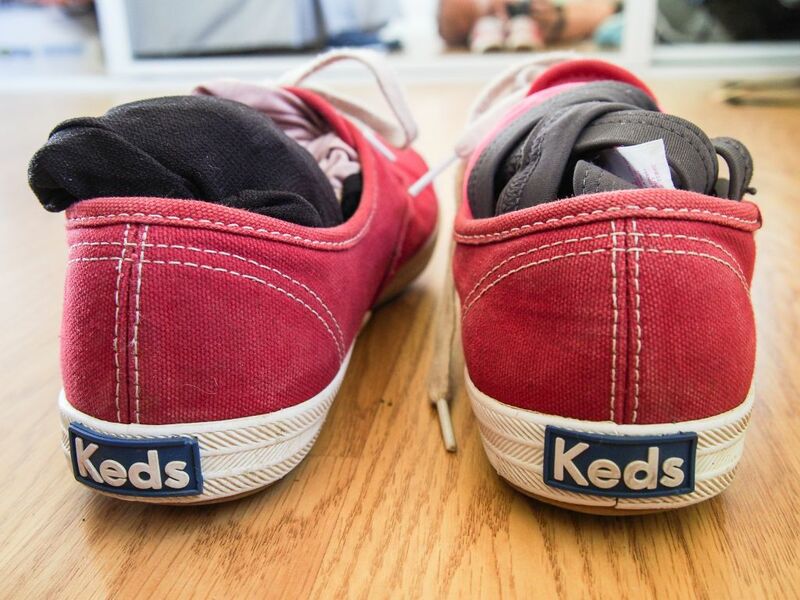 If you have a pair of shoes going in your pack, be sure to use that extra space. Roll up small items like socks or underwear and shove them in your shoes before packing them. I know it’s not a lot, but every little bit of space helps when you’re traveling for so long. Think about what you are going to have to pull out of your bag to get through security, and make sure that those things are easy to access. 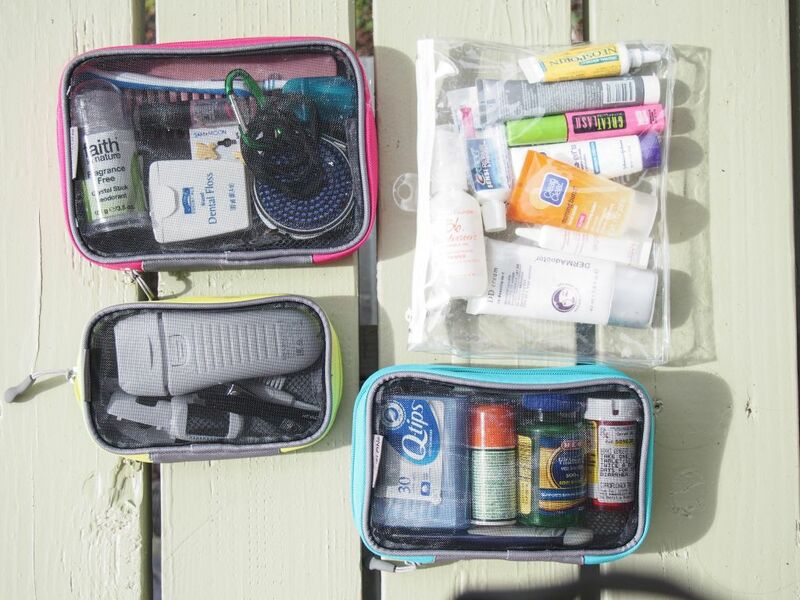 Typically you will need to remove your liquids and laptop. If those two things are easy to reach then you and everyone else in line behind you will be much happier. There you have it. 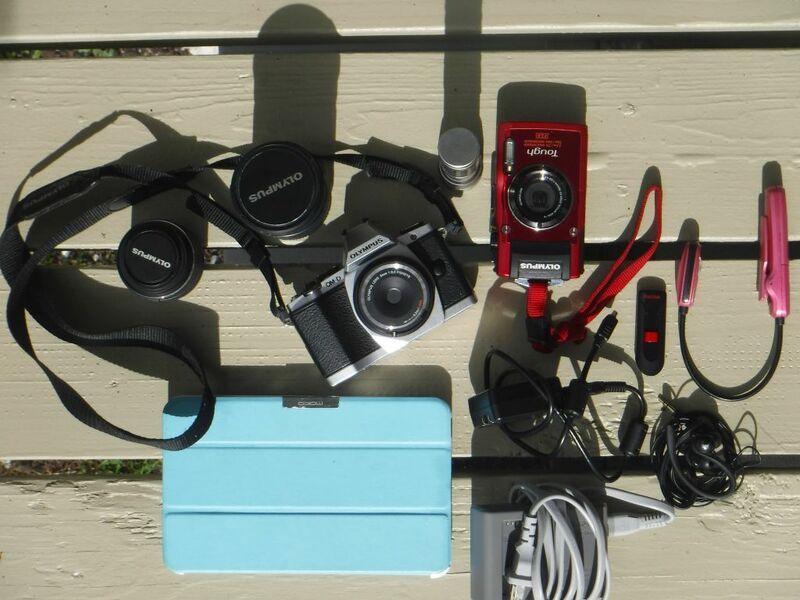 That is all we have packed, plus some tips for your next trip. We’ll keep you posted on what survives and what doesn’t. 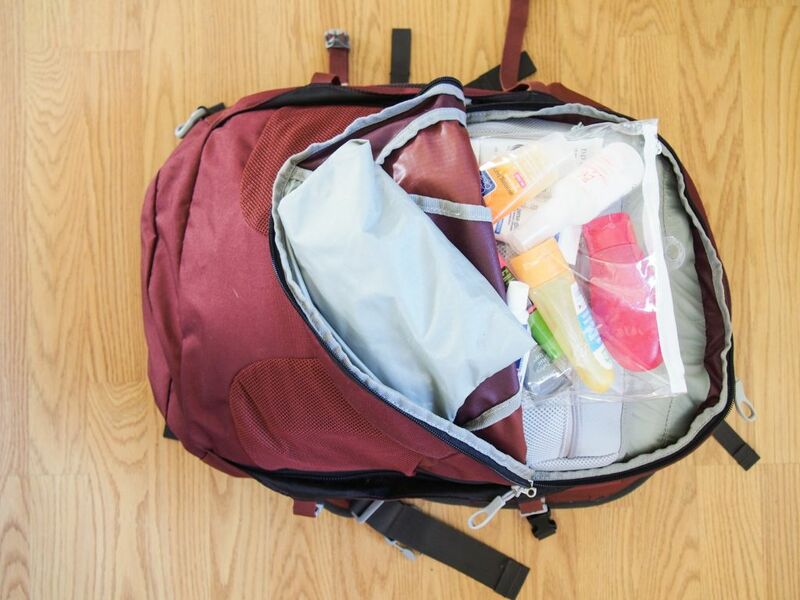 Let us know if you have any packing tips!